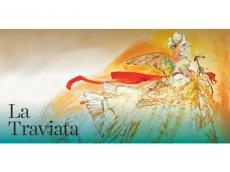 La Traviata the opera by Giuseppe Verdi will be presented at Azerbaijan State Academic Opera and Ballet Theater on June 23. Within the framework of the memorandum on cultural cooperation signed between the heads of the opera houses of Azerbaijan and Belarus, the principal conductor of the Belarus National Academic Bolshoi Opera and Ballet Theatre, Honored Artist of Ukraine Victor Ploskin is invited to take part in the performance, Trend Life reported. The leading soloists of the theater - People's Artists of Azerbaijan Akram Poladov (Doctor), Ali Askerov (Marquis), Honored artists Inara Babayeva (Violetta), Farid Aliyev (Alfred), Jahangir Gurbanov (Germont), Sabina Vahabzade ( Flora), as well as soloists Tural Agasiyev (Gaston), Nina Makarova (Anina) will perform in the opera. La Traviata is an opera in three acts by Giuseppe Verdi set to an Italian libretto by Francesco Maria Piave. It is based on La dame aux Camélias (1852), a play adapted from the novel by Alexandre Dumas. It is one of the cornerstones of the operatic repertory. The score is littered with fantastics tunes that are now wildly famous, but beyond that it is the coherence of the whole piece that makes it a masterpiece. The taut plot and vivid characters paired with Verdi’s perfectly attuned music tend to result in few dry eyes by the end of Act III.